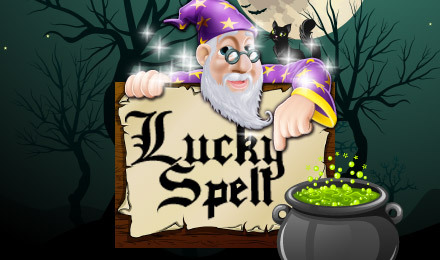 Join the fantasy adventure with the Lucky Spell Slots today and let the magical wizard lead you to enchanting wins. The spellbinding reels are filled with wizard themed icons, exciting graphics, innovative features and chances to win! Spin to your way to spellbinding wins with Lucky Spell Slots at Vegas Spins today, and discover your own winning formula for luck. This magical game offers 3 reels and 1 pay line of wizard-themed delights, enchanting graphics and classic fruit machine features. So join the animated magical wizard in this fantasy adventure, and you’ll be rewarded at the reels with magical wands, books of spells, owls and wizard hats. This mystical and retro game is packed with innovative features like auto bonuses, auto superholds, auto nudges, auto holds and multiple chances to win. So follow the magical wizard and let him lead to your own spellbinding riches!